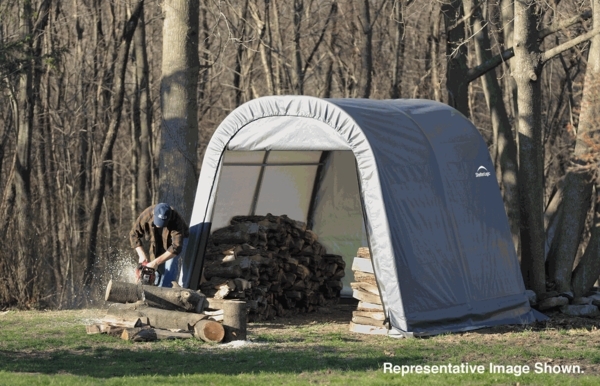 Shelter Logic is one of the leading manufacturers of portable garages, sheds and other types of shelters. 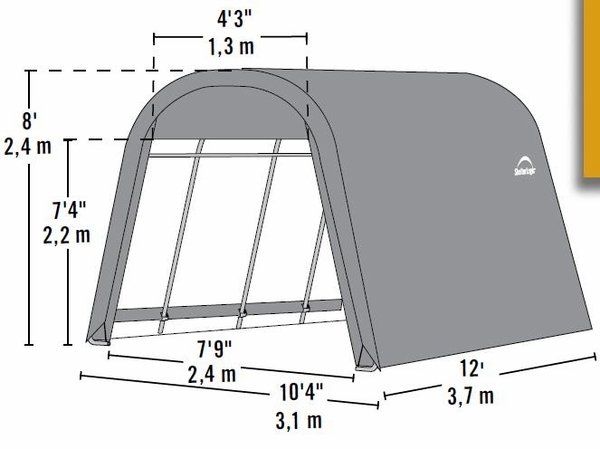 This shelter measures about 10 feet W x 12 feet L x 8 feet H. Round-Style Portable Shelter with Gray Cover features a one year warranty. The heavy duty frame is 1 5/8 inch tubular steel. The steel has a baked on powder coating. This coating protects the steel from rust and corrosion. The cover is made from tough polyethylene.